Why is Early Childhood Early Intervention so important? The ECEI means seeking supports as early as possible, to work on a child’s developmental, health and support needs. The NDIS Early Childhood Early Intervention (ECEI) approach seeks to assist children 0-6 with developmental delay or disability, recognising that children have special needs that require different support to adults. Starting intervention early is the best way to support the development and wellbeing of children with disability or developmental delay, as it can help children develop the skills they need to take part in everyday activities. 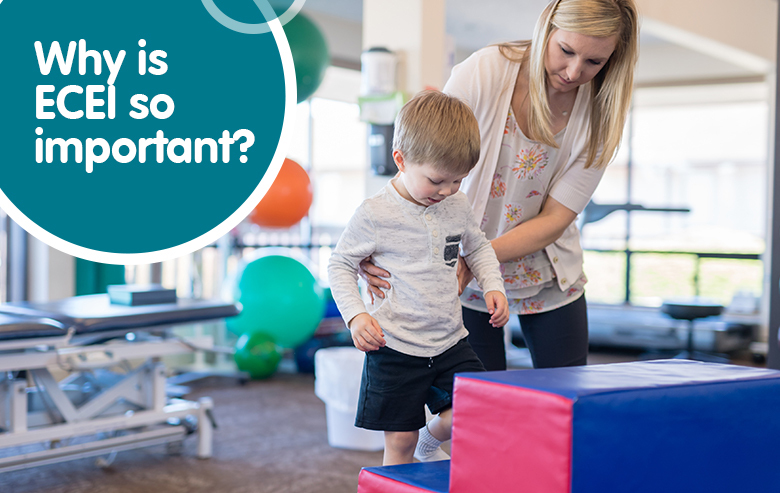 Yooralla’s early intervention support has been vital for Yooralla customer Ethan, who began developmental and rehabilitation programs, including physiotherapy and speech therapy at just 12-months old. He now attends a mainstream primary school with the support of a Yooralla Occupational Therapist. In some cases, children who receive early intervention might not need long-term support, while others may need continued support through the NDIS as they grow older. Yooralla provides specialist therapies and interventions for children with developmental delay or disability, recognising the importance of early intervention in building a child’s functional capacity. Find out more about Yooralla’s Specialist Children’s Supports, and you can find information on the NDIS for children in Yooralla’s free guide to the NDIS for your child.